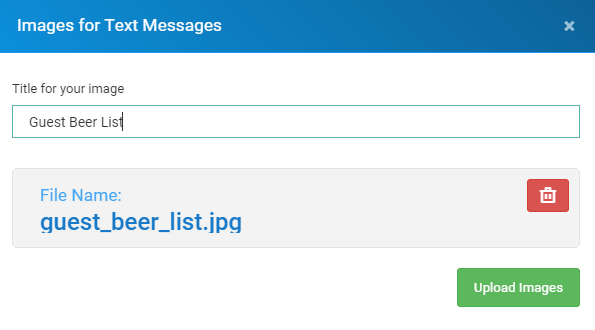 You are now able to easily add an image to any message you wish to send such as an information list, product image etc. This example shows how a pub can send an image of their 'guest beer' chalk board without having to write all the details into the text itself, saving time and text credits! Sending an image will not use an extra credit but will only use a few characters based on the URL of the image that has to be included within the message. 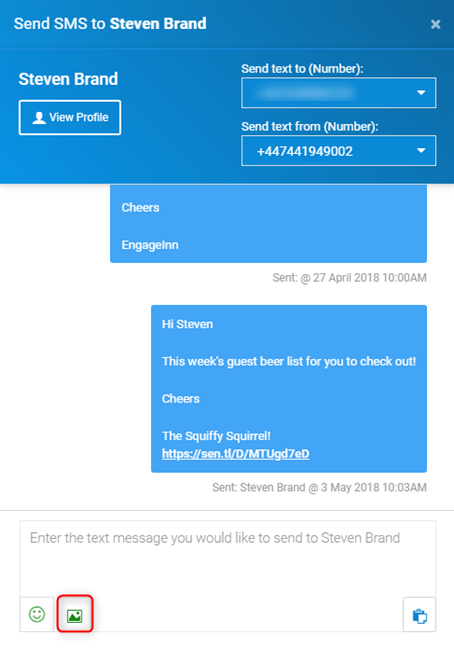 You can send these to single or groups of contacts as before and they can also be scheduled in the same way as a non image message. When compiling your message you will now see a button with a picture on it as outlined below. Selecting the image will present you with an upload window where you can either search for the required image file or drag and drop the image into the window. Once you have selected your image you will need to give it a title as this will show up on the image link. 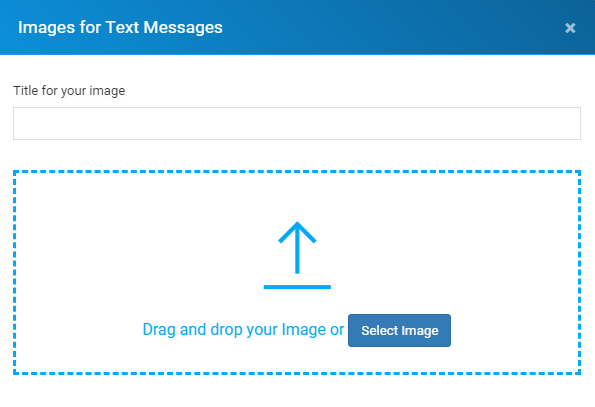 After selecting upload image you will be able to create your message in the same way as normal either from a template or by writing a new message. The character count will tell you how many text credits you have used. The example below is one credit with the image included. When your customer receives the text it will look like this on iOS when they have clicked to load the image. Android users will receive a link that will take them to the image associated with the text. Clicking on the image will load it in a separate page as below. You can also add images to conversations in the same way by using the image button that has been added to the conversation window as highlighted below.